A Waldorf Steiner design doll rattle for babies. Steiner believed that a doll should have minimal or no facial features. This is to encourage children to imagine their doll with a range of emotions and feelings and it is believed that children will find this difficult if the doll has a fixed expression. This green and yellow striped Waldorf Steiner doll is the perfect friend. This beautiful faceless doll is hand made from 100% cotton yarn, suitable from birth and fair trade. Machine washable. 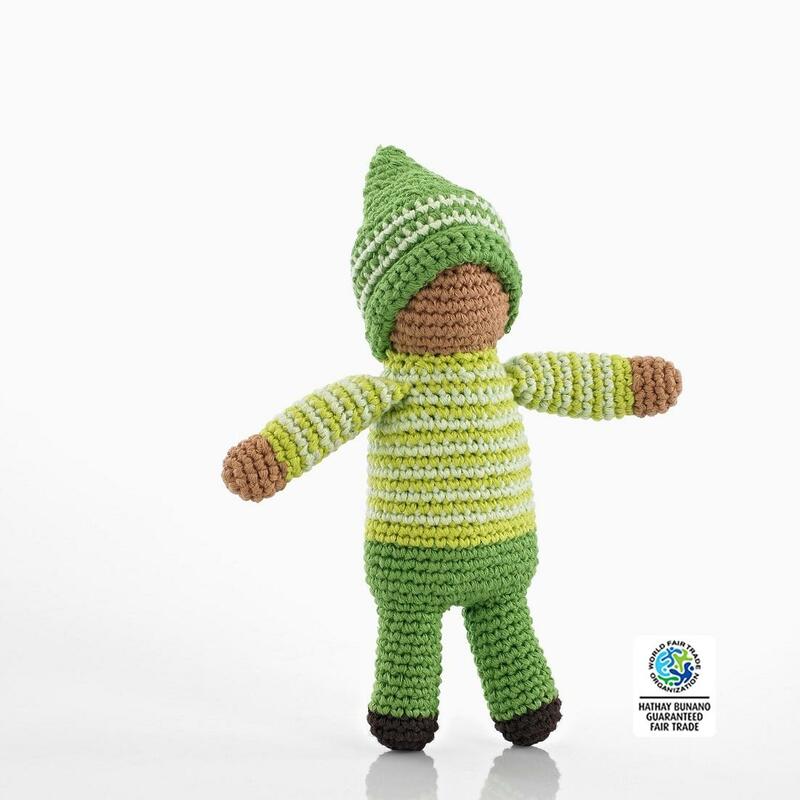 Pebble toys are the only knitted and crochet toys guaranteed by the World Fair Trade Organization to be fair trade. When you buy a Pebble toy you can know that your purchase is helping to give people a chance of a better life. Thank you for your support.